Entertain in style with the Beverley trolley from Eichholtz. Inspired by the Hollywood art deco era, the luxury drinks trolley is a stylish yet practical addition to your interior. 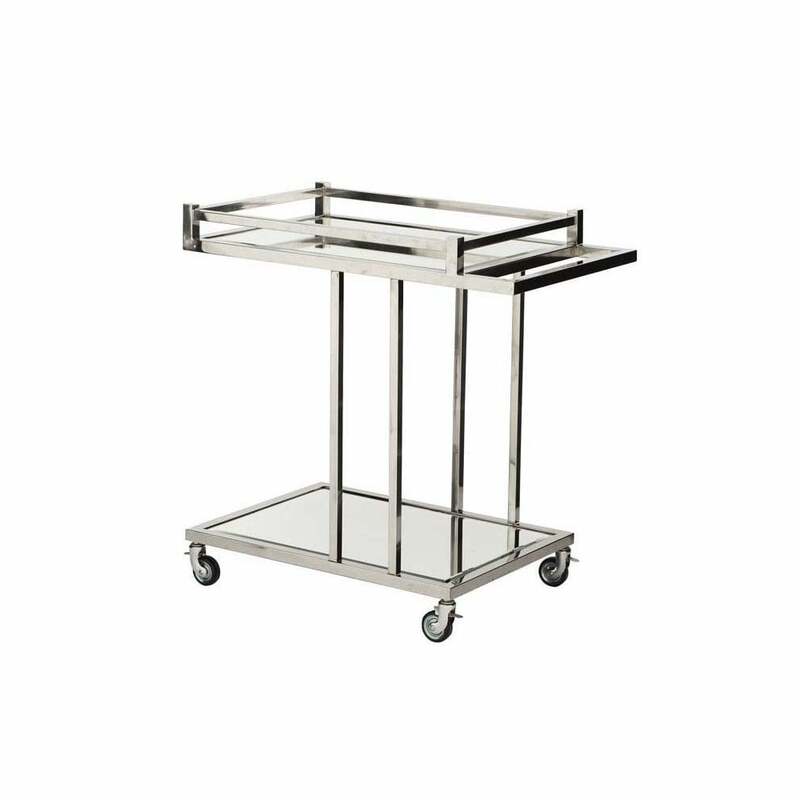 A perfect addition for any entertaining event, the stainless-steel frame includes two tiers for serving drinks and cocktails. Criss-cross detailing on the glistening framework extends to a glass table top with bevelled detailing. Style in a living room as an alternative side table solution. Dress with accessories and fresh flowers to create a luxury look. Combine with other elements from the Beverly Hills range from Eichholtz for an ultra-glamorous look.